Its amazing how many causes go right to the roof and have so much exposure and most get on the band wagon and then they get awareness, I support many of these causes. When it comes to the causes of humanbeings, their Dignity, Respect, Equality and their rights, like their right to live, eat, be safe, grow and develop and not be exploited or abused, we fall very short. It seems that if we are not subjected to these unfortunate situations, we pretend they do not happen. We can stand united to yell and protest about freedom of speech and yet we can let others die because they have no food or drinking water. We who have been blessed to not have been born in a third world country pretend that most have what we have. If we are destitute there is hope, we can go to a soup kitchen or a food bank or a government agency and receive some help. Other countries do not have these. How is it , that as humanbeings we can sleep at night knowing that others will die because they have nothing??????????? Talk about mans inhumanity to man. Please help others less fortunate. Please love. Please care. Please let your voice be heard. Please , please, stand up for those who do not have choices. 02/21/12 Humanbeingflag Com $100.00 We are caught up now, lol. We need help for the water project. 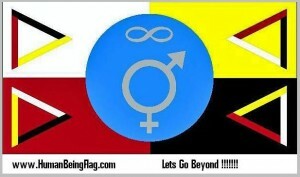 09/30/11 Humanbeingflag Com $50.00 Lets get there, I know it can be done. 08/26/11 Humanbeingflag Com $50.00 HB has still given up his Timmies. 06/20/11 Humanbeingflag Com $50.00 Still have given up Timmies and its a good cause. 05/21/11 Humanbeingflag Dotcom $50.00 Still have given up Timmies, lol We can make a difference. 05/17/11 RACHEL MOORE $10.00 WE CAN MAKE A DIFFERENCE, SO LET'S DO IT! 02/17/11 HB Dotcom $50.00 This is from our family, HB has still given up his Timmies coffee. 01/17/11 Moore Family $50.00 Timmies money, its been 3 months now. 12/16/10 Shanelle + David $90.00 We gave up our tree money, and also 50.00 donated each month because david gave up his Timmies coffee. 11/15/10 Moore Family $100.00 This is such a better Christmas gift.